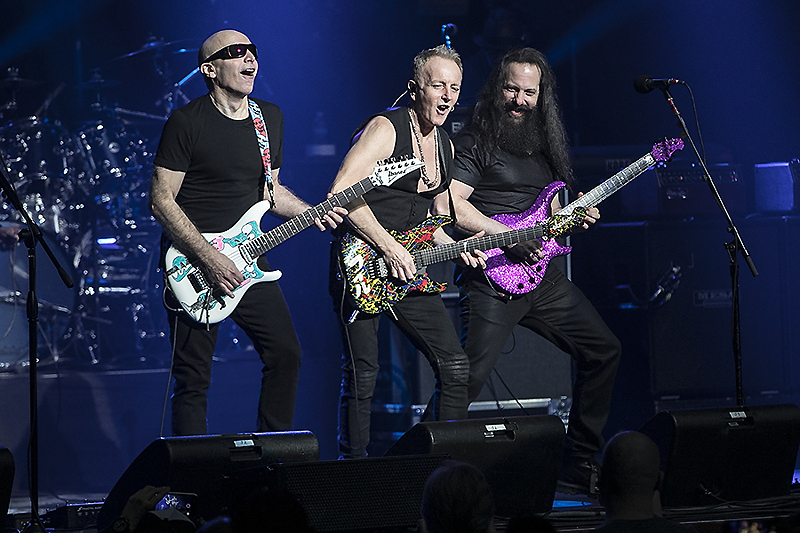 Joe Satriani’s guitar extravaganza, the G3 tour, came to the Fox Theater on Sunday night, with “Satch” along with Dream Theater’s John Petrucci and Def Leppard’s Phil Collen performing inspired sets along with an epic jam session with the three guitarists at the conclusion of the show. 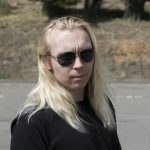 Satriani first came up with the G3 idea back in 1996, and the tour has become one of the staples for fans of instrumental guitar music in America and Europe for quite some time. This is the first time the touring package has been back in the US in over ten years, so fans were undoubtedly excited to see these performances. Satriani headlined the evening, opening up with the furious rock of “Super Funky Badass” from his newest release, What Happens Next. 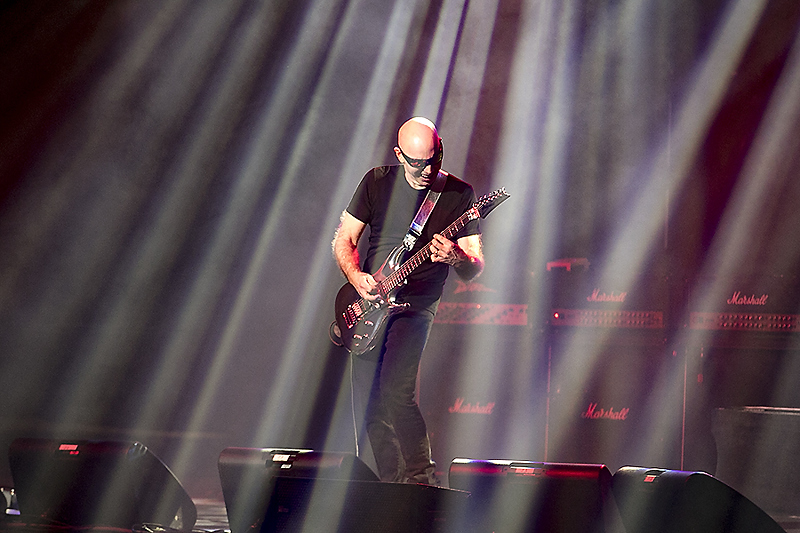 Satriani wasted no time in delving into his classic material, like a couple of songs later when he rolled out the slick grooves and technically demanding “Satch Boogie” from his breakthrough album Surfing with the Alien. 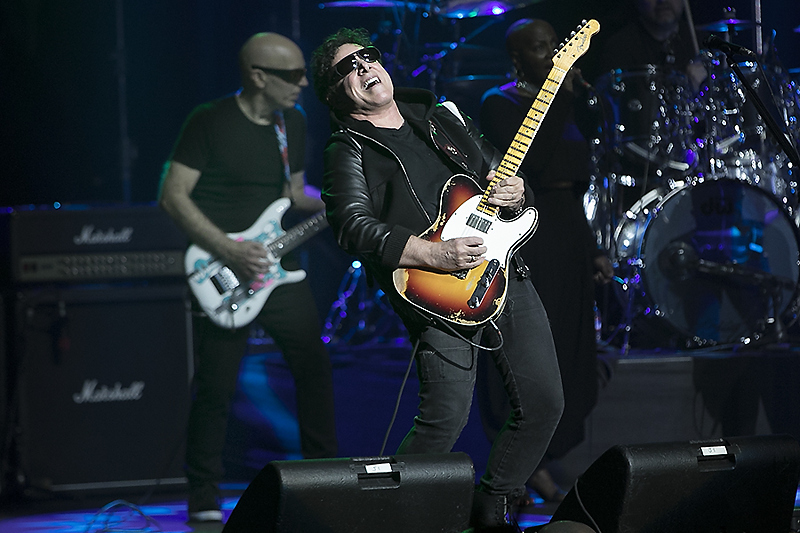 The song revolved around a bluesy swing rhythm over which Satriani laid down some of his tightest and melodic soloing of the night. What makes him such an intriguing and innovative musician is his remarkable ability to find just the right note to play at the right time. While many master musicians are content to rattle off a bunch of super fast notes, Satriani manages to make each one count. Following this were the sweeping melodies of “Cherry Blossoms” from What Happens Next which featured Satriani and keyboardist Mike Keneally teaming up for an intricate Japanese-sounding melody. Next up was one of the biggest highlights of the evening: the evocative ballad “Always with Me, Always with You.” The song relies on a gorgeous lead guitar line that is vocal-like in its elegance and delivery, and it was on this track that Satriani stretched out his already impressive technique, throwing in all kinds of sonic curveballs to keep things interesting. As is tradition, Satriani brought out Collen and Petrucci for an encore jam, which saw the trio rip through a cover of the Deep Purple standard “Highway Star.” The biggest surprise of the night was up next however, as Satriani invited his longtime friend, Journey guitarist Neal Schon out for a smoking version of the Stevie Wonder staple “Superstition.” After thanking the audience for their support Satriani and company launched into the final song of the night, a rendition of “Going Down” by The Alabama State Troupers. 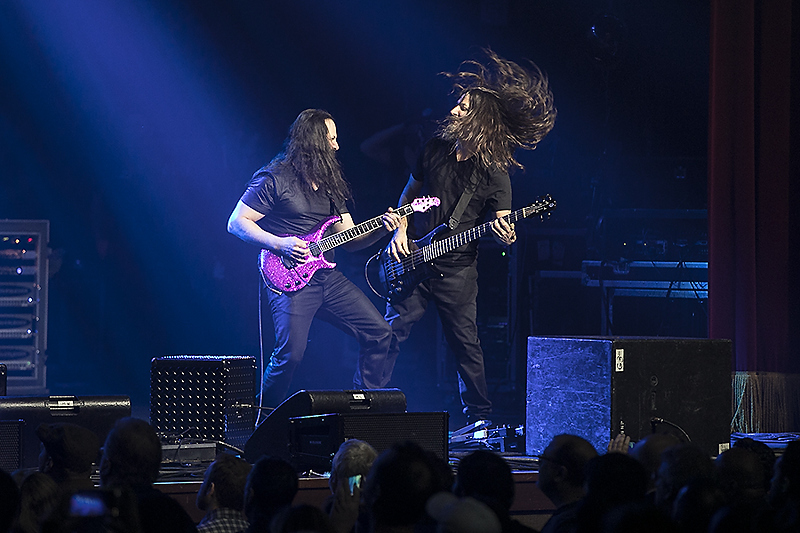 This gave Satriani and Petrucci, who are both more known for their metal-based guitar approach, to try out a bluesier style of playing to the delight of the audience. It was hard not to get wrapped up in the unbelievable playing of these guitarists, and while many of the songs devolved into extended jams with plenty of instrumental noodling, the positive attitudes and enthusiasm emanating from the stage were hard to resist. The whole evening had the vibe of a celebration of all the merits of instrumental based guitar music and reaffirmed Joe Satriani as one of the true icons of the electric guitar. Phil Collen opened the night up with his backing band Delta Deep. As the name implies, the set was drenched in bluesy hard rock, with Collen and vocalist Debbi Blackwell-Cook feeding off each other in classic blues fashion. Collen was content to stretch these songs out, dishing out plenty of impossibly fast licks and whammy bar acrobatics as well as more subtle playing, matching Blackwell-Cook’s vocal melodies on numerous occasions. 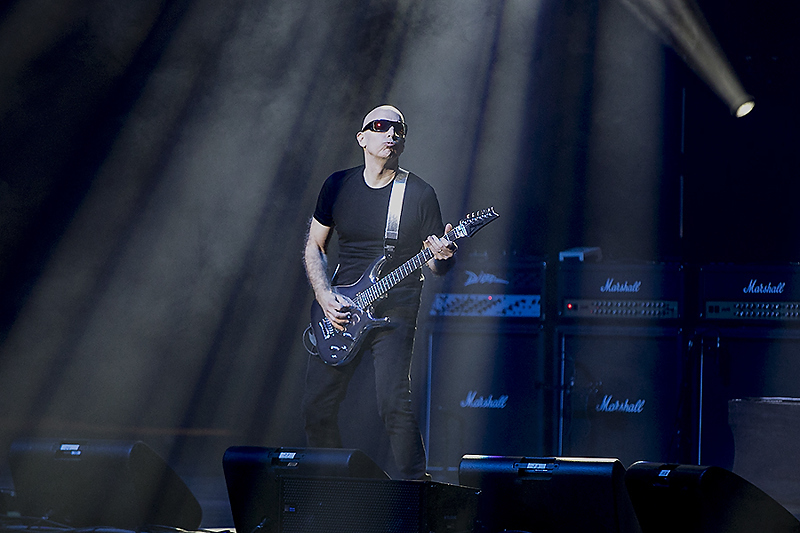 Learn all about Joe Satriani here. 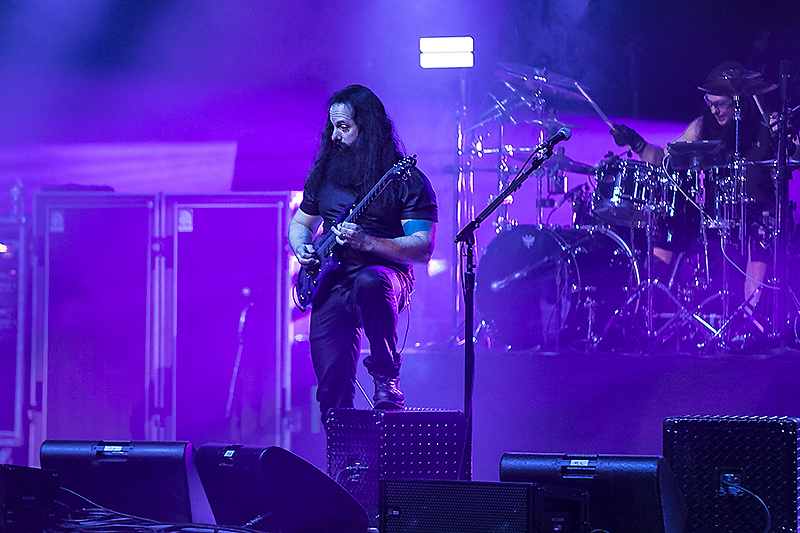 Find out more about John Petrucci on his Facebook page. 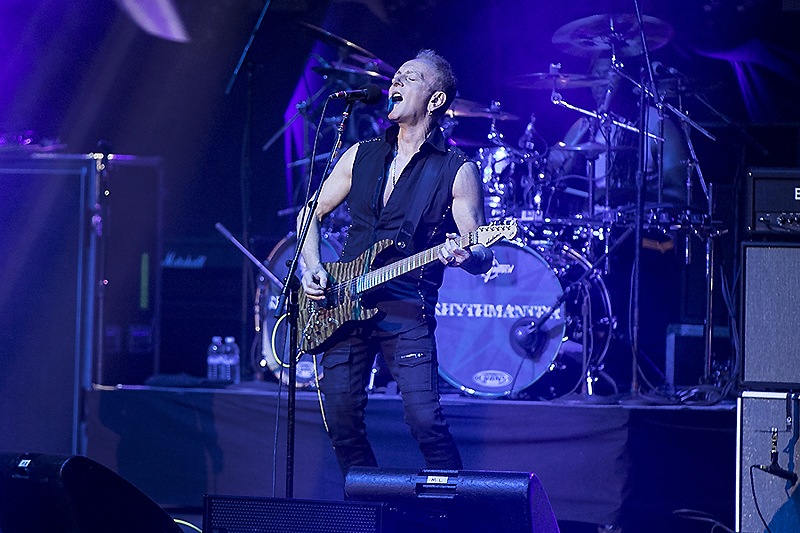 Check out Phil Collen here.